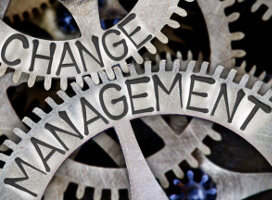 If you’re considering change management strategies for your WMS project, here are three things you can add to that process to reduce friction and engage your teams a little more. Change management, according to ERP Focus, can become unruly very quickly. You’re fighting against a variety of internal and external forces, from budgets and learning new processes to individual resistance because systems disrupt who has what power and control. One of your best tools to tame the change management beast is to have a robust process that you follow. Well-defined processes take your team through each required step and provide commonality when you need to answer “how” and “why” questions. Having two managers give the same answer to “why are we doing this?” makes it feel like a company-focused process instead of an exclusive system that one department is getting to the disadvantage of another. Key to adopting a successful process is finding one that addresses leaders and management as well as the individuals your WMS will impact. Start at the top to create clarity around each action. Present a unified front that your WMS is part of a strategy to make the workday better. Leaders in lockstep are much more convincing when it comes to getting staff on board with a new platform. And remember, software is only part of a system. All WMS work, including change management, requires people and planning for their needs. Openly and honestly address concerns, and you’re more than halfway there. 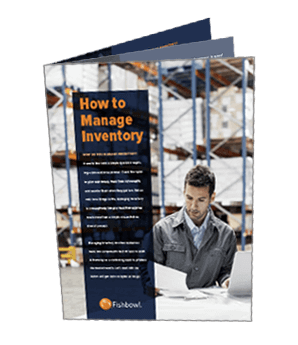 A rip-and-replace strategy to a WMS only has one possible “win,” and that’s if everything works right at the end. In these cases, you almost never get to that win stage promptly. It’s easy to tell when you’ve avoided catastrophe, but it can be more difficult to know when the process is on track ahead of the final launch. A good change management strategy, according to Explore WMS, should look for small completion steps that need to happen throughout the process and determine what is and what isn’t acceptable for each. For instance, primary features need to be ready before launch, while additional modules can have a broader timeframe. There are also secondary victories, such as having a contingency plan that works effectively when a new feature causes a problem. Staying on time and on budget should also be part of your goals. Defining victories provides a few distinct advantages. First, it gives you opportunities to see how you are progressing and benchmark your performance. It also provides you with a list of objectives that can be used as a check for your project framework, potentially identifying missed needs or steps. The final benefit of clearly defining your goals might be the most important. When you know small goals that happen throughout the process, you can celebrate them and make changes more likely to stick. Many successes in the change management process are ones you’ll need to replicate either across individuals or at a more organizational level. Rewarding people for completing training or implementing a new module in their shift creates multiple incentives for your whole team to adopt your WMS changes. Assign leaders different areas and have them turn small victories into milestones or examples your entire team can understand. Testing and training are critical areas to define and celebrate because they are the foundation for WMS adoption and real change. Plus, we respond well to small celebrations. Consider pizza and praise as an easy way to motivate your team when they need it most.